Atlanta Piano Fortissimo provides in home voice lessons by highly qualified instructors in the Atlanta area. Vocal training should not start until the age of 13 or 14 due to the need for the vocal cords and the general physiology of each child to mature. However, growth will still continue after the age of 13. Our voices change as we age, and the most dramatic changes happen in the early and late teenage years. The voice doesn’t mature until the teenage years when the vocal cords and the larynx (voice box) have had a chance to mature. If your child is before the age of 13, there are other options besides voice lessons with techniques to get them singing in a healthy way. A child’s vocal cords are easier to damage than an adult’s voice, so voice lessons for children who are younger than the age of 13/14 should learn habits on how to prevent vocal injury and to learn to sing in a healthy way for their age. Voice lessons for children before the age of 13 consist of learning healthy vocal habits and exercises (matching pitch, ear training, learning music, sight singing). It should be explored gently and not pressure a wide vocal range before their voice is capable. 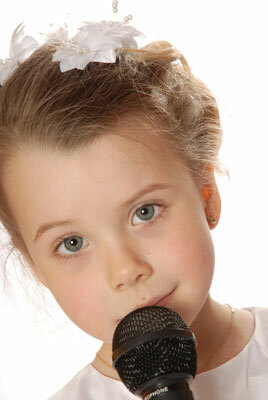 In a voice lesson, the student will be nurtured and gently led into their full potential for their individual voice. The voice is like a playground and it is my job as the voice teacher to help create an environment where they feel encouraged to play (healthy) with their voice. Students will learn healthy techniques on how to sing through the break in the voice, bring the head voice down into the chest voice, breathe correctly, sing in the correct placement, learn correct tongue placement, learn proper vowel placement, singing style and other important techniques needed for each singer. Students will learn about their individual voices, how to take care of their voice and how to be an independent musician. Repertoire books are a common purchase in voice studios, but the specific repertoire book will vary depending on the needs and talents of the individual student. The benefits of voice lessons include an increase in awareness of their individual body and vocal instrument, knowledge on how to take care of their body and voice, learn study skills and memorization skills, improve communication and verbal skills and express themselves through music. These are just some benefits of taking voice lessons and learning music. Music is a universal language. We all have voices and it is our individual duty to take care of it to the best of our ability.